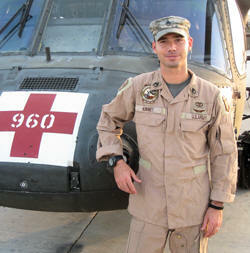 Recently SSG Matthew Kinney was named Flight Medic of the Year at the DUSTOFF Association and AMEC Conference for his actions on Oct. 16, 2008, for which he was also awarded the Silver Star. Wow. Just reading the citation impressed me. There are heroes in this world.